For years, Indivior has made the bulk of its revenues from opioid addiction treatment Suboxone. Now, it’s taken a step towards reducing its reliance on that cash cow, which is under pressure from generic competition. The UK drugmaker has just won FDA approval for Perseris, a monthly injectable formulation of atypical antipsychotic risperidone, to treat schizophrenia. It will launch in competition to other monthly therapies, such as Lundbeck/Otsuka’s market leading Abilify Maintena (aripiprazole) and Johnson & Johnson’s Invega Sustenna (paliperidone) but, for now, Indivior isn’t predicting when that will take place. In a press release, the company says its launch – originally slated for the fourth quarter – will now be reviewed in light of a recent court decision relating to Suboxone (buprenorphine/naloxone) in the US. It’s pledged to give a date no later than its third-quarter results statement scheduled for 12 November, and is projecting $200m-$300m in peak sales for the drug. Perseris is a key product in Indivior’s diversification plans, along with newer painkiller addiction therapy Sublocade (long-acting buprenorphine) which was approved by the FDA in December. The latter has however failed to gain much traction in the market so far, even though it can be given just once a month while Suboxone is given as a film under tongue or in the cheek once a day. The two approvals come as Indivior is fighting a rearguard action to protect Suboxone from a generic developed by Dr Reddy’s Laboratories. After losing a patent infringement dispute last year that stripped back protection from competition previously extending to 2024, Indivior was able to secure a preliminary injunction against the launch of Dr Reddy’s generic earlier this month. The company has just revealed however that the US Court of Appeals for the Federal Circuit has granted an expedited appeal of that injunction, which means that lawyers from the two companies will thrash it out in front of judge in the first week of October, sooner than anticipated. So why delay the Perseris launch? 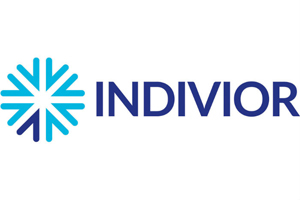 According to analysts, Indivior may be deciding to put all its commercial muscle behind Sublocade, which has pulled in just $2m in its first four months on the market, according to Jefferies. The company is still insisting that Sublocade has $1bn sales potential but with the analysts expecting sales to reach just $26m this year, that seems a distant prospect.